I've always been fascinated with weather. The good, the bad AND the ugly. Sunny days are alright, wonderful at times, but you don't remember them three years later. It's the bad days, the ugly days that really get my blood pumping. Mind you, I don't like weather to hurt people or destroy property, but I think it's something to be taken very seriously and, at times, with a sense of humor. I loved the movie "Twister" (1996). Yeah, yeah, I know it wasn't that "real" or accurate, but there's something about chasing the weather that reminds me of chasing horses, or buffalo. They don't follow the pavement, neither does no-nonsense weather. Last weekend, as we trekked across my state of Washington, we were treated to some whirlwinds. Because they were forming above recently plowed fields we call them "dust devils". They're comparable to tornadoes because they're both a weather phenomenon of vertical air, that rotates. These guys are usually harmless and are out there to entertain and pose for the camera! Dust devils are formed during sunny weather under fair conditions, starting as a swirling updraft. They rarely reach the intensity of tornadoes. Sometimes they even split and you have "dueling dust devils"! Hey, I just had a brilliant idea. A sequel to "Twister" is long overdue and I'm looking less and less like Helen Hunt everyday. It's probably time to call Hollywood and say 'I'm your gal' for (drum roll please) "Dust Devil Chasers"! 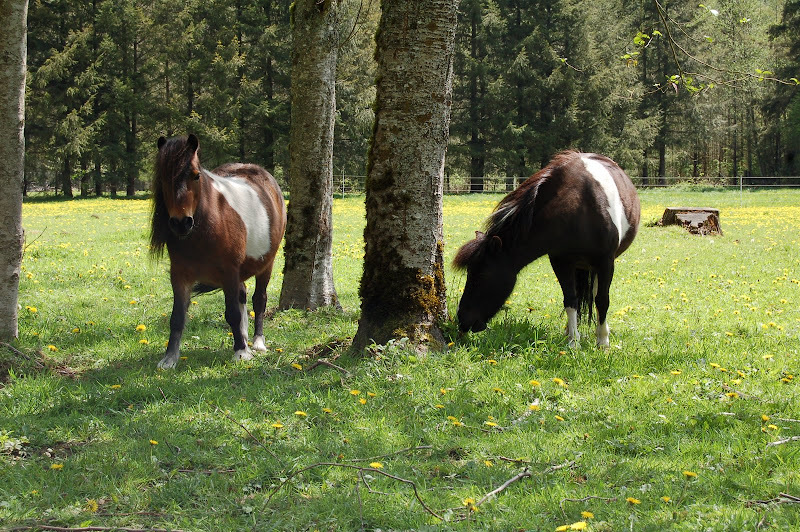 In the heart of Washington State, towering above the Columbia River, there's a herd of horses. Echoes of the past, this herd will not perish. Sixteen horses are cut from inch thick tempered steel, a steel that "lives" for thousands of years. The material rusts and merges with the wild landscape. Created by artist David Govedare of Chewelah, WA, the ponies were positioned above the river in 1989 to celebrate Washington's centennial. Titled "Grandfather Cuts Loose the Ponies" the scene symbolically re-creates the Great Spirit giving horses to the earth. Believe me, they are awesome to behold. Sadly the tribute is 20 years old and still not complete. At the left side of the herd there should stand a magnificent Indian basket, like a cornucopia. It's from the basket the ponies should tumble, bringing all the good horses can bring to the earth and it's people. Someday that lucky lottery ticket will come through for me. I'll mail a chunk of change to Dave Govedare and ask him if he could please finish the basket. It's the least I can do to thank the Great Spirit for his gift...his gift of the horse. Seattle to Spokane at 70 m.p.h. Well, not exactly starting in Seattle, but close by (and it makes the title sound cooler)! Last Saturday Bruce and I rocketed to Spokane from our house near Seattle (about, ummm, 260 miles). We stayed over night at my Dad's and took a few truckloads of furniture to his new duplex on the north side of Spokane. It was a short visit but a good one. I hadn't seen Dad for awhile and missed his hugs. First we climbed Snoqualmie Pass, the west/east I-90 corridor through the Cascade Mountain Range. At the top of the pass we're at an altitude of 3022 ft. It's quite a hill. Kacheelus Lake was filled to the brim with snow melt and will provide water for both sides of the mountain range this summer --- irrigation for the drier valleys to the east and drinking water for thirsty Seattle. The lake is the beginning of the Yakima River and it's name is a native American term meaning "few fish". Shhhh...don't tell that to the guys in the testosterone impregnated bass boats! The Stuart Mountain Range, within the Cascades, provided some craggy snow covered peaks to shoot! "Roll On Mighty Columbia, Roll On" loomed out my now bug splattered side window. The beautiful and powerful Columbia River is the largest hydroelectric power producing river in North America. The hillsides along the mighty Columbia River where festooned with magnificent wind generators. Geesh, I really want a smaller version of one of these big daddies. The return trip on Sunday? Just scroll up from the bottom of this post to the top. Pretty much gets you back to Seattle, minus the Memorial Day traffic! Sweet. The Gauntlet Is Thrown Down! 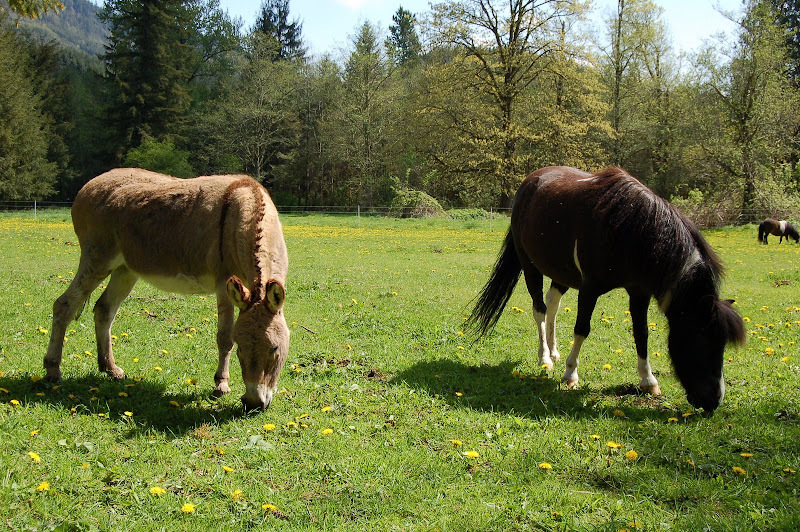 Yesterday I grabbed the little stool from the RV and walked out to the pasture to take some pics of the miniature horses and the little donkey. All of these animals are short little buggers and you can't just 'point and shoot'. All the shots end up looking like you have the critter under a microscope. All the shots look like you're a towering giant peering down on regularly sized horses. So, I try sitting on the stool to position me more on their plateau. Pete, far out in the pasture, raised his furry head and spied me. Ahh-ha. A person to love. He moseyed over and proceeded to become a downright pest. I'm sure he thought since I'd perched myself in his pasture he could come over and crawl into my jacket pocket. "UGH, big fella, you don't fit in there!" Snuggle, snuggle, sniff, sniff. "Pete, stop it!" Pete didn't stop the mauling so the gauntlet was thrown down. It wasn't the chain mail gauntlet of yore, but rather a stretchy, lovely periwinkle colored garden glove. Oops, guess where it landed? Indignantly, Pete glanced back at the threat. "Whatinthehell," he snorted. "I take the time to come visit my favorite lady person and shower affection upon her head and this is how I am repaid?" In the very highest expression of donkey-dom wisdom, Pete relinquished. He moved on to more important matters. In between the munching I heard him mutter something under his breath, "Whatever..."
OK -- it's already been established I live in a rainy part of the world, the "Pacific NorthWET". But Tuesday night, my part of the world out-did itself! It had been pretty drizzly all day and the horses were gathered at the gate to get into their dry, cozy barn for dinner. Looking like "drowned rats", as my Mom would have called them, pretty pitiful little drenched miniature horses with dreadlocks instead of forelocks. "Done," I said after haying, graining (just a teensy bit), vitamin-ing, wormer-ing and watering the crew. As I turned to head to the tack room to feed the resident ole barn kitty, Indy, I heard "it" start. Thundering paws above my head in the hay loft. Galloping felines. The Tuesday Night Cat Races had begun! With everyone tucked safely in the barn the heavens opened. Half an inch of rain dumped on us in the next hour. The gutters turned into waterfalls. Downspouts blew off as leaves and pine needles drilled through them, heading for the soaked ground. Newly potted hanging baskets became dangerously full of water, tempting the integrity of those dinky little plastic hangers...grrr. But, the satellite TV held! The storm could not annihilate the signal. VICTORY! The long season was ending and tonight we would have a winner. The finale of "Dancing with the Stars" starts in one minute! 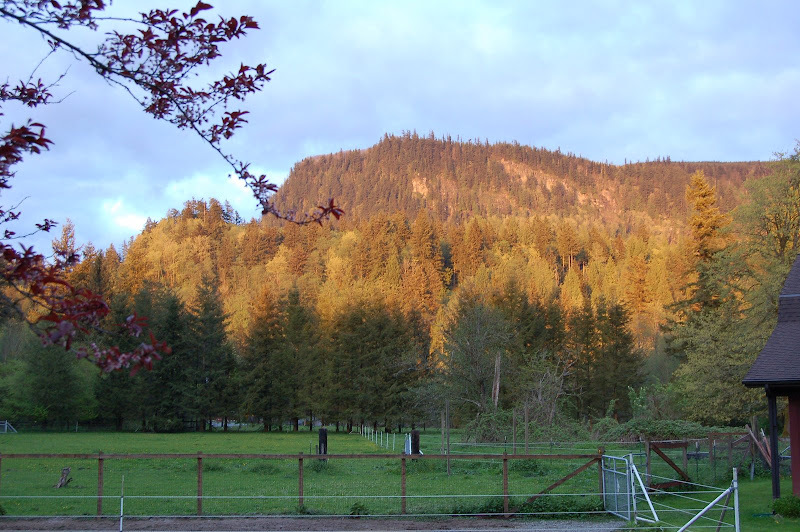 Pasado's Safe Haven in Sultan, WA is one of my charities. I send them money, they send a thank-you note and I get quarterly issues of their newsletter. I get a warm fuzzy feeling knowing I'm supporting a compassionate shelter. And...I know my donation helps to continue the cutting edge animal cruelty legislation Pasado's spearheads on behalf of the critters. A few years ago we decided to reduce the numbers of horses and llamas on our place in preparation for the 1600 mile exodus to New Mexico and our retirement home. I found homes for 3 horses and 5 llamas. We were whittled down to 2 miniature horses, an easy cargo for the long trek to the Southwest. One evening in mid-December 2007, Bruce and I were chatting as we mucked stalls. He remarked, "Have you looked at the Holiday issue of the Pasado's newsletter that came the other day?" "Nah"...muck, muck, muck. 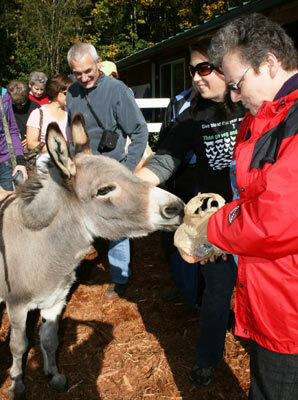 Then, stone-faced, picker in hand, he paused and said, "Well, there's a little donkey in the newsletter. I think we could give him a home for Christmas!" "WHAT?!" This is the man who'd "suggested" we take only the little guys to New Mexico. This is the guy who, I know, breathed a sigh of relief when the last llama was placed in a good home. Now he is willing to give a home to a donkey for Christmas? Who was I to question his kindness? "Sure, that sounds fine to me," I said calmly, all the time thinking, "YES!" After a six page adoption application and final approval we went to "Mete Pete". He was darling and definitely a donkey. If you stood still for more than a few seconds, Pete would maneuver his head under your arm so you magically had your hand in a scratching position. He had learned all about treats and demanded them non-stop (we have since curbed that bad habit!). 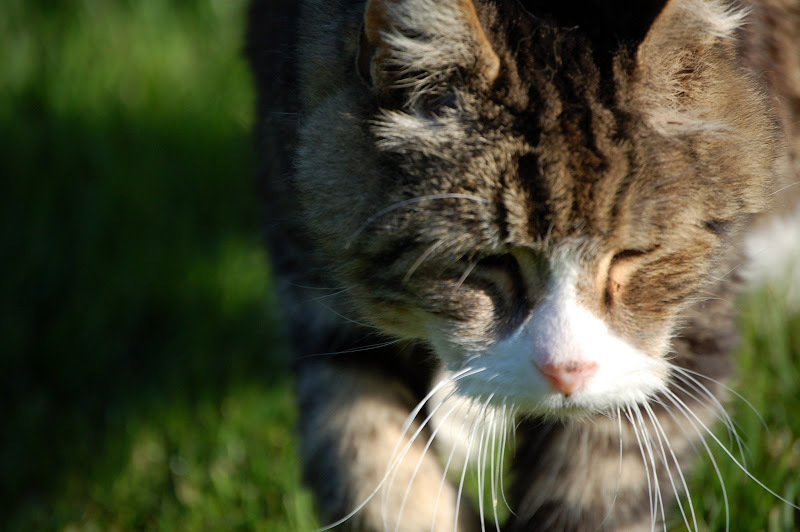 Pete had been dumped into an 80 year old man's pasture, by his former owners, in the middle of the night. The gentleman had grass that needed eating and didn't mind the companionship so he let Pete stay. 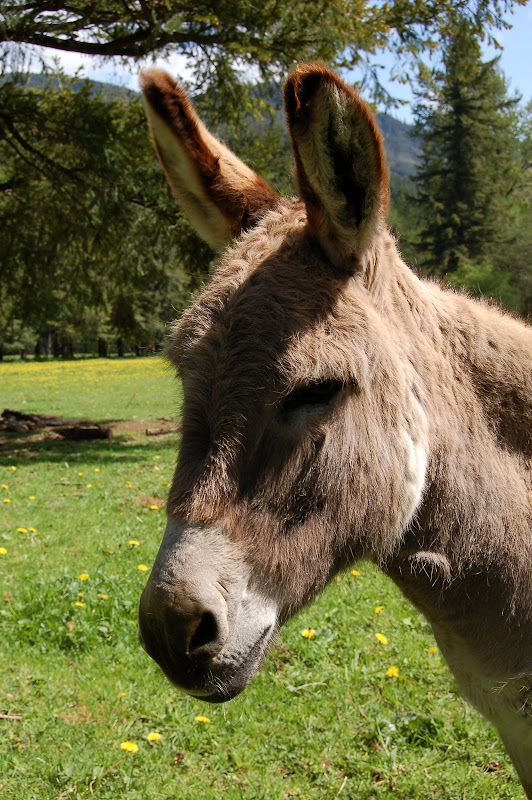 Unfortunately, what the man didn't have was the knowledge necessary to care for a donkey. 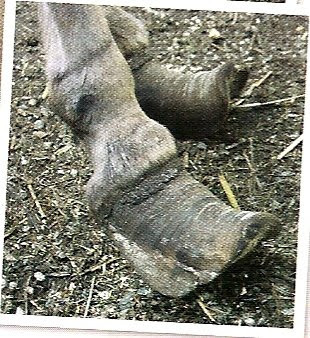 He didn't provide shelter or veterinary or farrier care. Just grass, LOTS of grass. Pete's feet eventually looked atrocious. 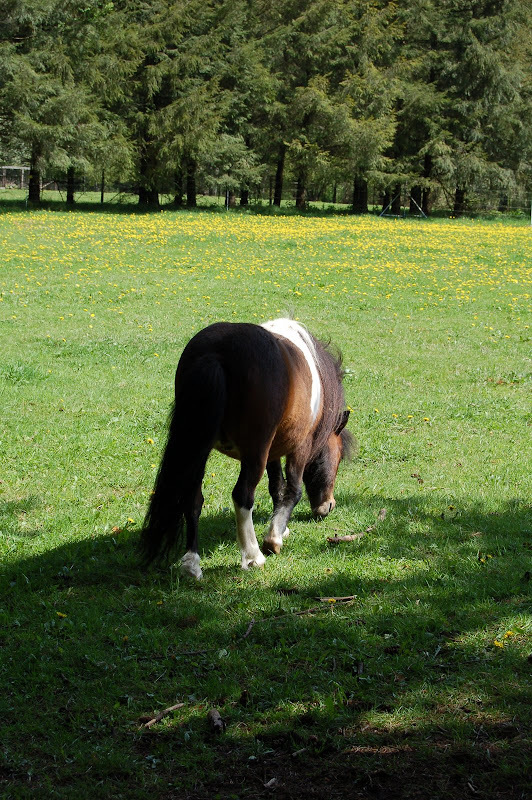 He couldn't stand to graze and would lie on the ground and eat around himself until he ran out of grass. He'd painfully hobble to another spot, plop down and start the cycle over. Neighbors brought Pete's plight to the attention of Pasado's Safe Haven. Folks from Pasado's visited Pete and convinced the gentleman, now 83, they would find a good home for Pete if he was agreeable to giving him up. The day Pasado's picked Pete up they learned "Pete" was short for "Pistol Pete". He had been named after one of our country's real athletic heroes, LSU basketball player "Pistol Pete" Maravich (1947-1988). (Back when being a sports hero had something to do with playing well!) Maravich is still the leading NCAA Division 1 scorer with 3667 points scored and an average of 44.2 points per game. Pete came home, to his forever home, in early January 2008. Just like his namesake he's a winner on our team and is quickly achieving rock star status. Thank you to Pasado's for making this funny little longears...ours. Indiana Jones Lives in My Barn! Whoa...not THE Indiana Jones. Not Harrison Ford (I wish) but a kitty named "Indy". 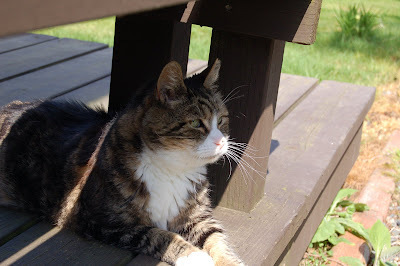 Fourteen years ago, when our barn was complete, we decided to "allow" a litter of kittens to christen our barn. Misty gave birth to a tough little gray tiger and he was an explorer. The kids were trying to think of a suitable name and I said, "Well, he's the first one to find the pasture, think of an explorer's name." Geesh, what have I done? Thinking I had made a huge mistake I expected to have a cat named "Christopher Columbus" or "Amerigo Vespucci"! But, thank goodness, they thought of "Indiana Jones". Whew. Well, Indy is old now. 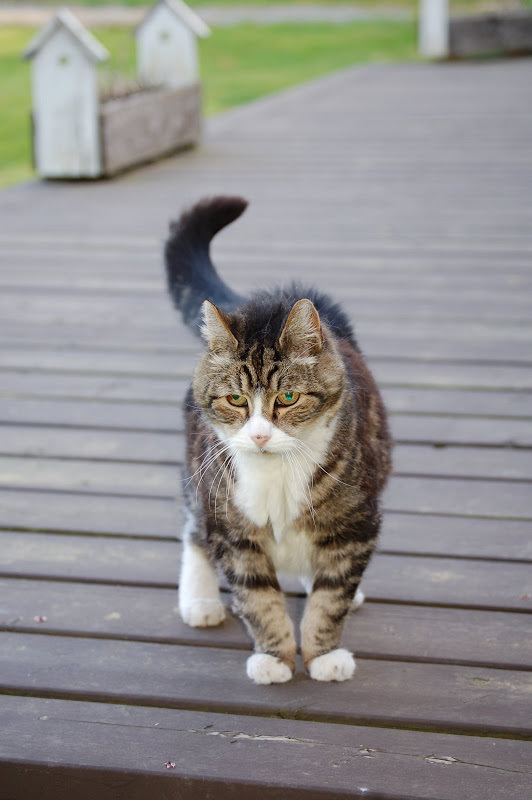 He's the last of a line of barn kitties that's stretched almost 14 years. He spent last winter and this spring in the tack room on an old fuzzy dog bed under the heat lamp. 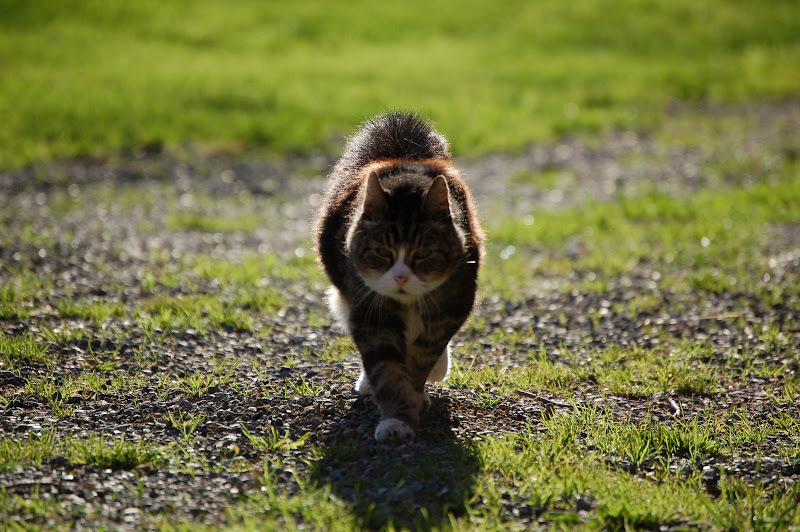 Litter box, two catered meals a day and turns around the barn aisle and yard is his daily fare. He's still a happy cat though and is content in thinking, with the dogs gone and the horses not worth considering, he's still king of the farm. A purr and a head bump is his way of letting you know you're a good subject and you're lucky to have lived under his reign. Ya know, when I come back some day...I want to come back as one of my cats. In June 2006 I thought it would be fun to volunteer at an event. It was something I thought I might want to pursue someday, so volunteering was the perfect way to see and learn about it from the "inside out". I signed up for a few days of helpfulness at a Combined Driving Event. This is where driving horses test their mettle. 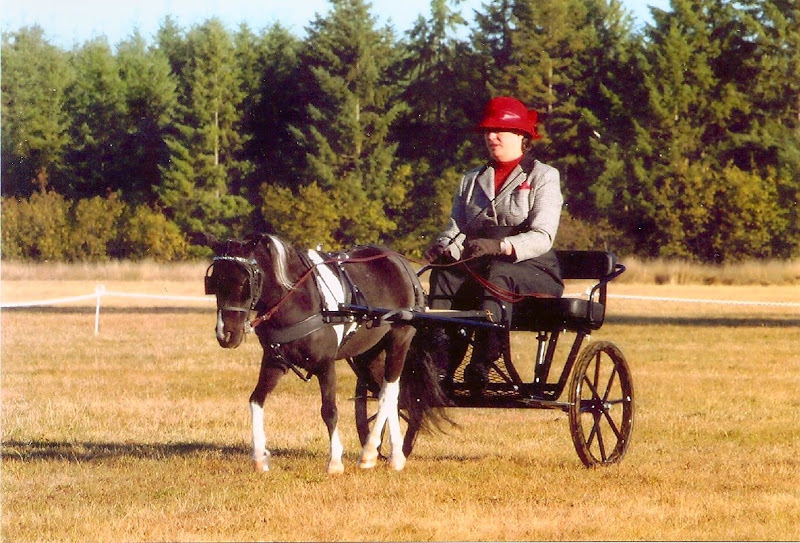 It's based on Combined Training Events (think horses in the Olympics) and it's held over a 3 day period, with each day testing a different aspect of carriage driving: (driven) Dressage, the Marathon (cross country) and Cones Competition. Bruce, my top hand and hubby, came along to take some pictures, sleep in late and generally hang out. By the time the second day came, he was, to say the least, bored stiff. He mentioned at lunch, "I guess I could volunteer for something this afternoon if you need me." Ah-ha! He was assigned to help judge and time the Tire Hazard. Singles, pairs and four-in-hands would be ripping through the maze of tires at Bruce's hazard and he was to time and note the path, correct or not, the carriages took through the hazard. Driving home later that day it was evident Bruce had had a splendid experience. We chatted about driving horses and what fun it was to see everyone enjoying their time with their team. Never in my wildest dreams could I guess what was to happen the next day. My husband had been smitten. The next email is, "Maybe I should buy a driving horse too so I can learn to drive with him." By now I was ecstatic. He wants to drive. He wants to buy a horse so he can drive. I was pinching myself to see if I was imagining it all. The next email was from the regional director of the American Driving Society. The ADS is the parent organization for everything driving related in the U.S. The blanket email was about a horse, a miniature horse. He was for sale and lived only 2 hours away. He was trained to drive and had done well at a few Combined Driving Events. His name was "Raider". This was Monday now, the day after the volunteering weekend. I forwarded the email to Bruce and his reply was, "Let's go look at him". Five days later we were writing the check! I emailed my friend and driving mentor and asked her if she knew the horse. Not only did she know the horse, she had owned him for awhile and had taught him pretty much everything he knew about driving. She suggested we have Raider delivered to her farm. There Raider and Bruce could learn about each other....with Raider being the teacher. This was getting too good to be true. Raider and Bruce became driving partners over the next year. In the spring Bruce said he thought it would be "OK" to drive in a Combined Driving Event. He wasn't too keen on wearing the fancy clothes for the dressage portion (including a driving apron which is traditional and a requirement) but he thought it would be a hoot to compete in the Marathon and Cones Competition. The pair continued to train. The dressage test was memorized and practiced. The carriage was polished and the harness gleamed. Safety was always stressed and never compromised. The event arrived and they were ready! I had no worries about the outcome of their first event. I knew Raider would take care of Bruce and show him the way to fun and companionship with a little horse. I knew they were a team. I knew Raider was rock solid. As some of you may know, I live in the Pacific Northwest...most often referred to (with a grumble in the voice) as the "Pacific NorthWET". Our rather serious weather station in the back yard is monitored by the National Weather Service. The station reports the weather conditions and the NWS uses those statistics to forecast weather up and down the Cascade Mountain Range from Canada through Oregon. Very kewl! We smile because on some days, as it's setting, the sun may break through the clouds and splash golden light onto the mountainside. 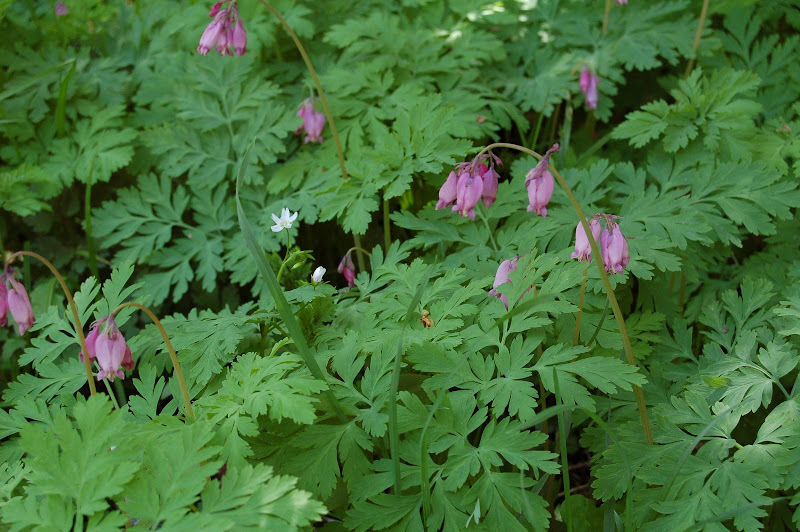 Other days we reap the rewards of plentiful rainfall with forest flowers like "Bleeding Heart". And this little guy who I haven't identified yet, spared by the tractor's blades last weekend. 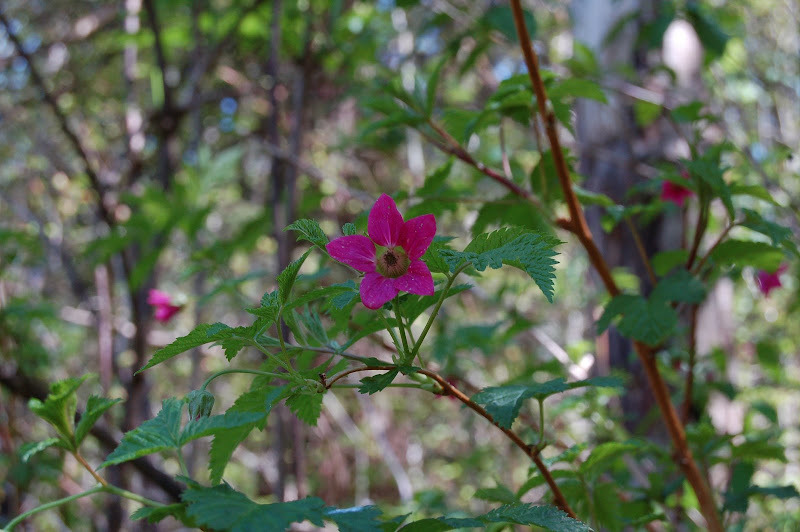 And salmon berry blossoms, the first flowers to summon the hummingbirds. But then the raindrops start to fall from the sky again. They quicken their pace and we run inside before the deluge. A brief stop at the back door to remove squishy sneakers and we're inside for the rest of the day. The average rainfall for our area is 37 inches a year. As of today, just 4 1/2 months into the year we stand at 25.09 inches. Eeck...are those webs growing between my toes? A little black cat moved into my barn last summer. She was obviously young, much narrower than wide. Her eyes were golden and showed she'd done a lot of living in her short life. Because I'm a sucker and our barn cat population had dwindled to one, I told her she could stay. I told her she was welcome to the warm hay loft and shelter from the winter winds. I told her she could feast on our dry cat food. I asked her to please not torment the remaining old barn kitty. I named her, what else...Beauty. In August I left the barn scene for awhile to have a total knee replacement done. I lost track of Beauty and figured she had moved on. One day I came home from a physical therapist appointment and pulled into the drive. There, playing around the truck was the reason Beauty had been out of touch. 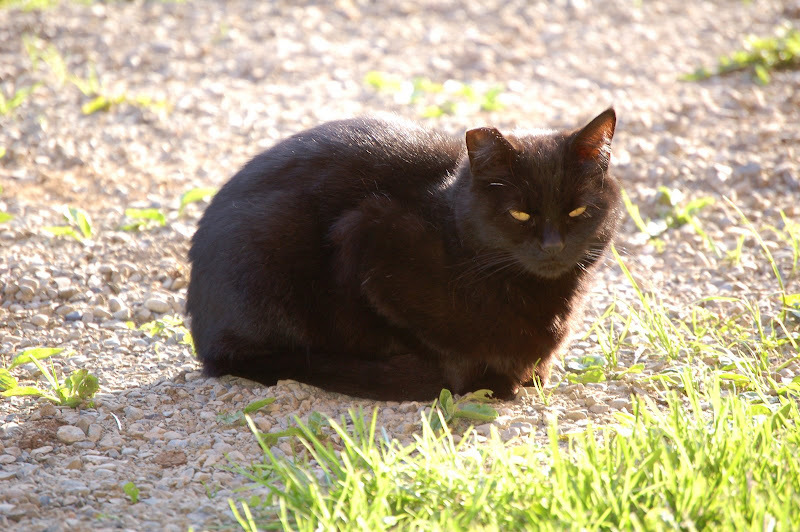 Two kittens frolicked in the October sunshine, a black one and a long-haired silver tabby. Between "awwwwwwwww" and "oh, crap" I realized I now had 3 feral cats in the barn. I knew their numbers would grow exponentially if I didn't have them neutered. 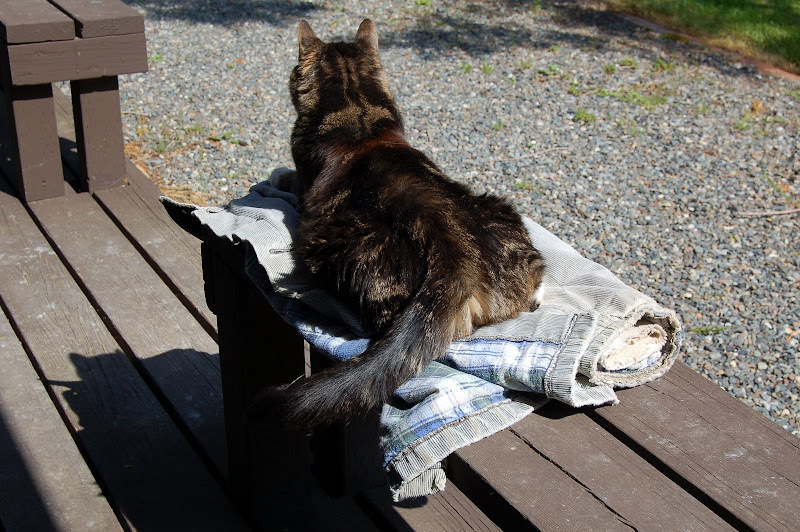 We have a wonderful organization near Seattle, a 'cutting edge' facility, The Feral Cat Spay and Neuter Project. They spay and neuter feral cats of all ages for FREE! I can't say enough good things about them. My vet clinic provided the live trap and in less than 2 days Beauty and the boys were trapped. They went to the FCSNP and came home "sexless". They were given vaccinations and flea treatment and were ready to start the safer, less debilitating life style of sterile cats. Oh, you're wondering about the tip of Beauty's ear? That's the universal way of marking neutered feral cats. They'll never be trapped again to be neutered. It's already a done deal. The little black boy is named Shadow. He's his mama's shadow and is a bugger to photograph. (Black cats are notorious for that.) 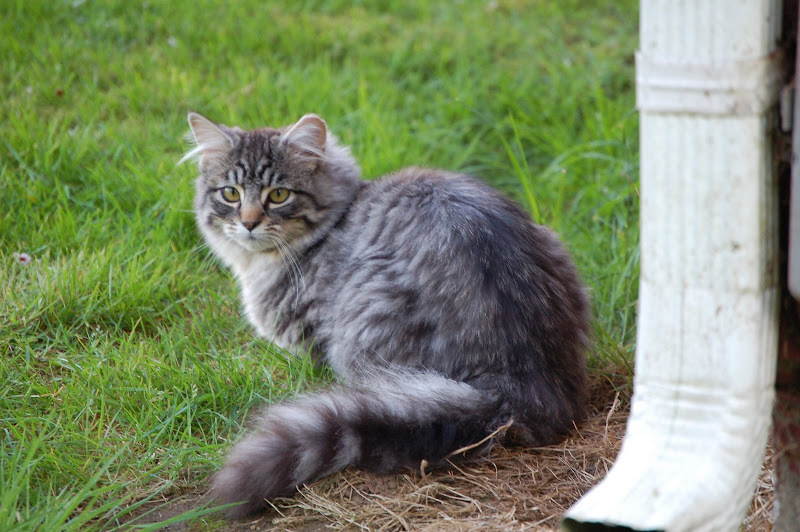 The silver tabby boy is Forrest and should have been a girl kitty...just too, too gorgeous. How did he get that name? Ahhhh, more on Forrest later. In the meantime, Beauty and the boys are pretty permanent tenants in my barn. Someday when we move on to our ranch in New Mexico they'll remain here. 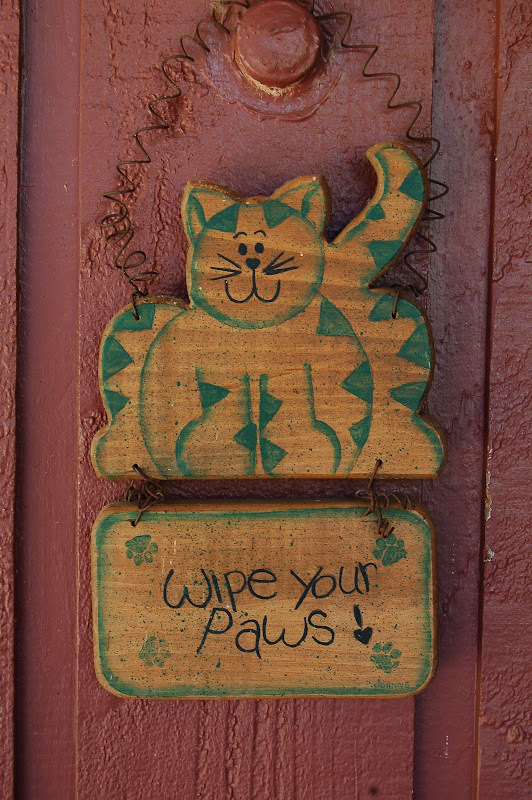 A clause will be inserted in the home sale paperwork requiring stewardship of the feral cats in the barn. Their life is a wild one and I'm not their keeper, just their caregiver. I'll really miss that little family. Holland - Eat Your Heart Out! Everyone knows how famous Holland is for the fields of yellow...tulips, daffodils and the like. 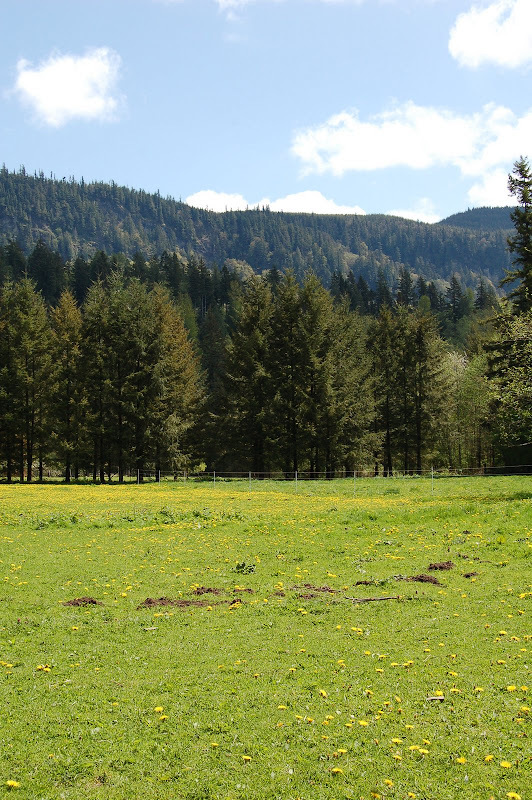 Even north of Seattle, in Skagit County, the fields are full of colorful yellow flowers this time of year. Well...we have something in my neck of the woods to rival all those stunning yellow fields. We have dandelions! No planting of bulbs, fertilizing with fancy schmancy mystical proportions of chemicals...nothing. 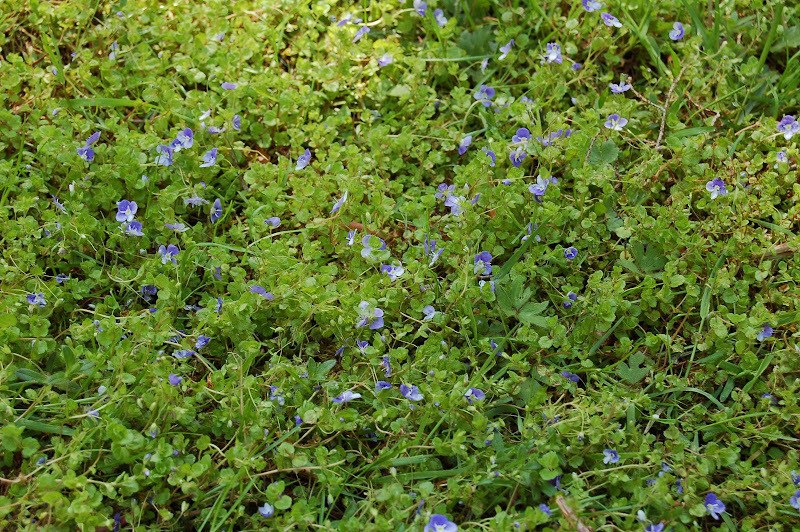 They just grow and thrive and carpet the pasture with gorgeous, frilly blossoms. No matter what we do to them they continue to flourish and return year after year. Perennials to the max they are with little care necessary and a showstopper of blooms every May. Bruce was ready to do his springtime pasture mowing this weekend and we had to put a stop to that. For heaven's sake, we can't mow down the dandelions! They might not come back next year. What would we do if we didn't have those breathtaking flowers? Might we get more grass for the horses? Might we save money by not needing diesel fuel for the tractor to mow the pastures for hours to rid ourselves of the dandelions? So we asked the horses, Otis and Raider. They said they had to munch for awhile and think on our quandary. 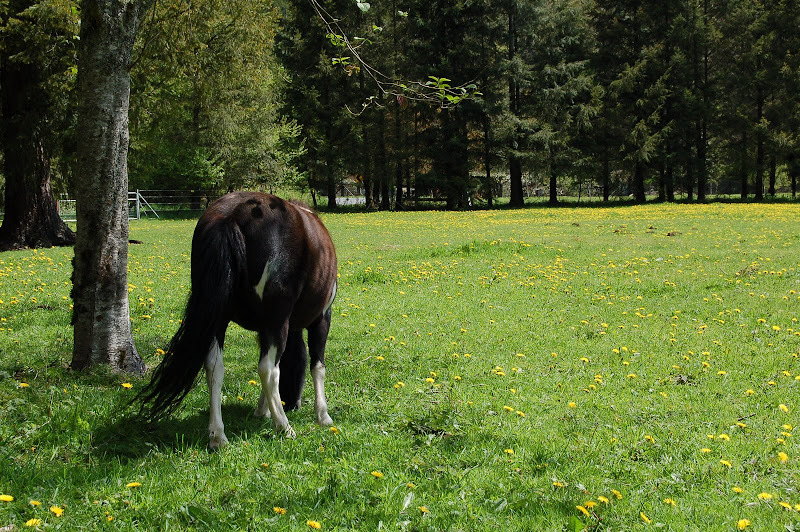 Hmmm, mow the dandelions down or keep their sun-shiny beauty in our pastures? Hours later, the answer came down. "Keep the blasted flowers!" As Bruce and I left the pasture we overheard Otis whisper, "Geesh, those two go through this every spring. When will they learn these dang flowers are bitter and we would rather they wipe them off the face of the earth?" Raider replied, "Just humor them, they're just two-leggeds after all." After a good 3 week delay, with snow on the ground as late as April 14th -- SPRING has finally sprung, just in time for Mother's Day! And with Spring comes the return of prolific animal and bird life and plentiful supplies of food. Quaker says, "Life isn't fair in the 'Jenny Craig' pasture!"